Donald Trump has vowed to “take care of it” after North Korea claimed to have successfully tested a new intercontinental ballistic missile that it said was capable of striking any target in the United States. 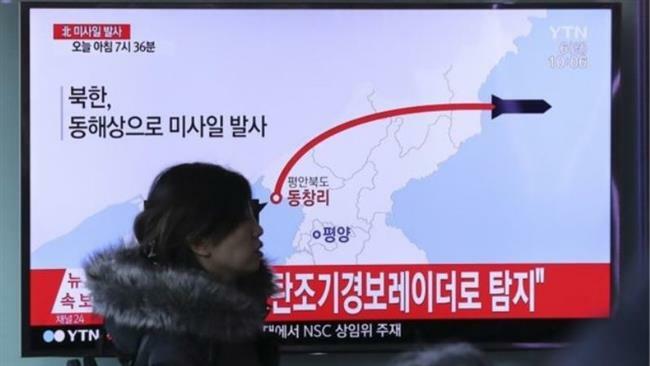 The announcement of the new “Hwasong-15” missile, made in a special broadcast at noon local time on Wednesday, came hours after a long-range missile was fired into waters off Japan in what was believed to be its longest-range test yet. Kim Jong-un’s rogue regime launched the missile, its first for more than two months, in the middle of the night and it flew for around 590 miles, reaching an altitude of 2,781 miles – more than 10 times the height of the international space station – and splashing down 53 minutes later in the Sea of Japan. The missile ended up within Japan’s exclusive economic zone, which extends 200 nautical miles from its coast. The dictator later declared that his country had achieved full nuclear statehood. North Korea had carried out two tests of an intercontinental ballistic missile in July, both of which were Hwasong-14 missiles. The revelation of the new missile came as a surprise to experts. “The ICBM Hwasong-15 type weaponry system is an intercontinental ballistic rocket tipped with super-large heavy warhead which is capable of striking the whole mainland of the US,” KCNA said. It said the development of the weapon would defend the North against the “US imperialists’ nuclear blackmail policy and nuclear threat”. “Kim Jong Un declared with pride that now we have finally realised the great historic cause of completing the state nuclear force, the cause of building a rocket power,” state media KCNA reported. The missile reached a greater altitude than any North Korea has previously tested, James Mattis, the US defence secretary, said. “It went higher frankly than any previous shot they’ve taken, a research and development effort on their part to continue building ballistic missiles that can threaten everywhere in the world, basically,” he told reporters at the White House. “We don’t have to like it, but we’re going to have to learn to live with North Korea’s ability to target the United States with nuclear weapons,” said Jeffrey Lewis, head of the East Asia Nonproliferation Programme at the Middlebury Institute of Strategic Studies.